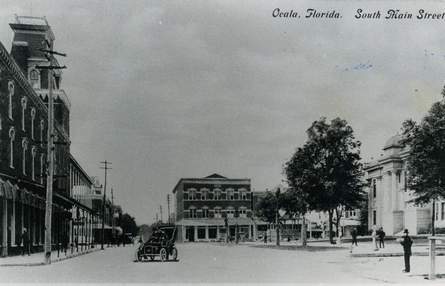 Ocala is steeped in lots of History, and David Cook a local Historian loves to tell about our history here. He is retired now, but was the Editor of the Star Banner for many years. I spoke with David today to get permission to post his articles that he writes each week on my blog for you to enjoy. Please feel free to make a comment at the end of the blog. Published: Sunday, March 18, 2012 at 6:30 a.m. The great national debate between a silver-based or a gold-based monetary standard reached down into Ocala in September 1896 and, of all things, brought about the creation of the town’s first woman’s club. To read the full story click here. Ocala is a lovely place to live…. for more information about our beautiful City, please give me a call.